With thousands of miles of coastline it’s hardly surprising that the US has so many beaches to enjoy. But with such a choice, which are the best if you want to strike out and get some sand between your toes? If you're already planning your winter holiday, you may want to think about where best to join in the fun. Well, one way to select your chosen destination would be to follow the suggestions made by the legendary Dr Beach – otherwise known as Dr Stephen P. Leatherman, Director of the Laboratory of Coastal Research at Florida International University. 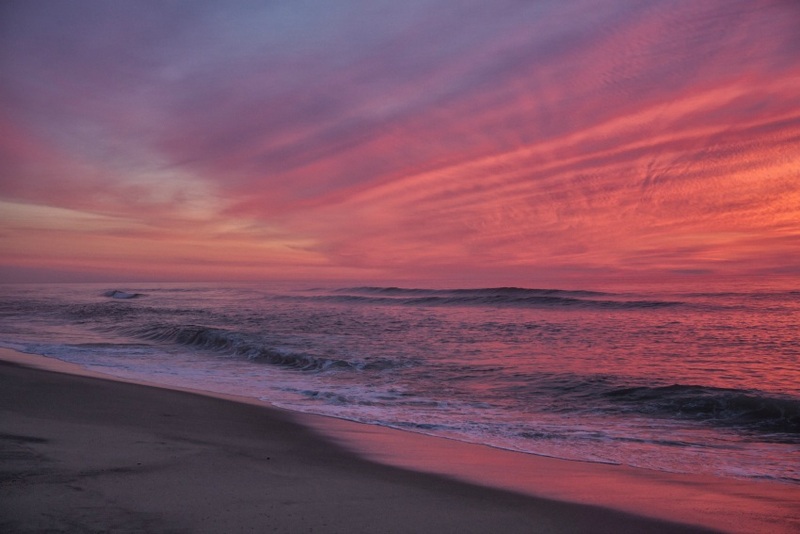 As part of his work, this lucky lab worker gets to visit beaches all over the States. During his rounds he marks the beaches according to 50 different criteria from the size of beach and its waters’ temperature to the amount of litter accumulated on the shore. Naturally, beach safety and the number of pests like flies and wasps also feature. With the doctor’s duties carried out, each year he announces his Top Ten – and here are his picks for 2016. 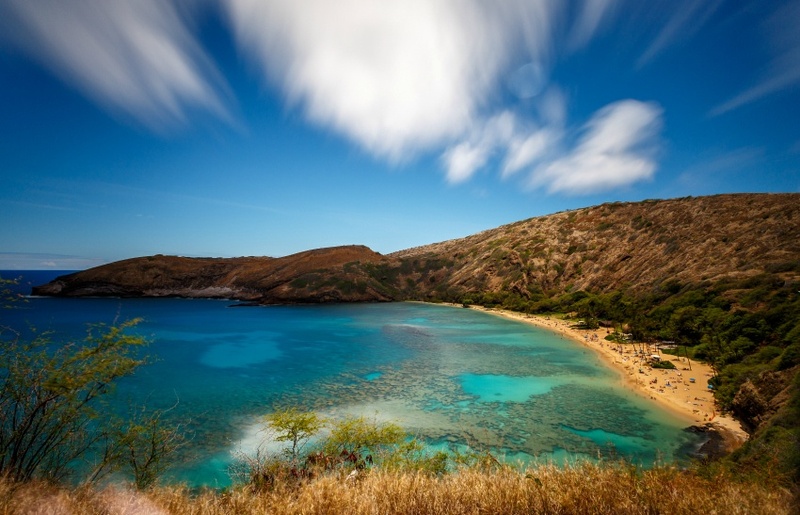 Situated on the southeast corner of Oahu, one of the six islands on the Hawaiian archipelago, Hanauma Bay Nature Preserve is a beautiful white coral beach and a snorkeller’s paradise. The waters are home to many species of beautiful tropical fish, which are so closely protected that the beach is closed on Tuesdays to allow them to relax a little. The beautiful clean sands of this wide, sweeping beach mean that sand collectors from all round the world come here to add to their collections. The warm, calm waters make it perfect for swimming for ages. 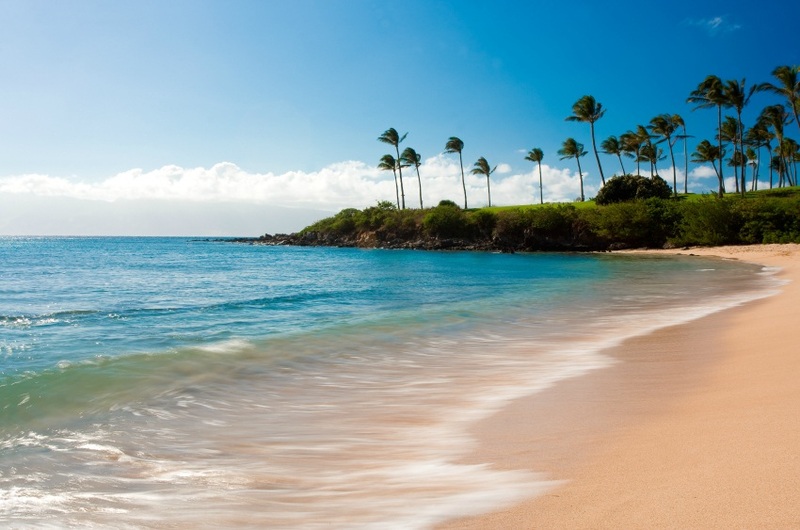 Another Hawaiian beach features in the top ten, this time on the smaller island of Maui. The beach is protected by two rocky outcrops, first formed by ancient lava flows, calming the seas and making for a fun place to swim. Sandy at the shoreline, the beach gradually slopes to a rocky bottom, perfect for using the snorkelling gear you can rent at the beach. Dr Beach is from North Carolina himself, but it can only be due to the appeal of this remote spot that he selected it for his own top ten. Ocracoke beach is on an island just off the coast that can be reached by ferry. Reputed to once have been the home of Blackbeard the pirate, the island also has ideal fishing conditions for those who’d like to compete or just kick back and spend a relaxing day by the water. Named after the coast guard station that still overlooks the beach, take a trip from the nearby Salt Pond Visitor’s Centre for great views from the old station. The beach’s location in the north-east United States means that the water isn’t particularly warm - even at the height of summer - so it’s one for quick dips only. 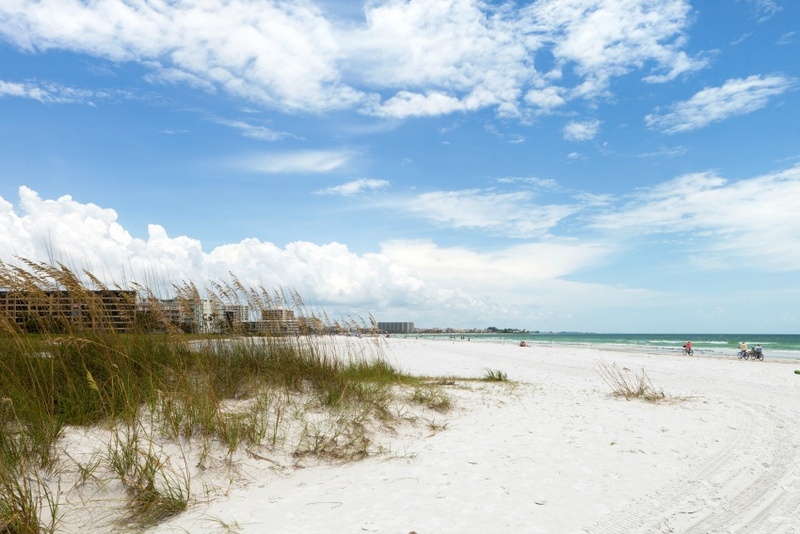 If you’re hiring a car in Florida make sure to visit each of the Sunshine State’s three beaches that feature on the list. Head for Grayton Beach State Park and you’ll find huge white dunes surrounding it - the whole area has been given National Park status to prevent development. 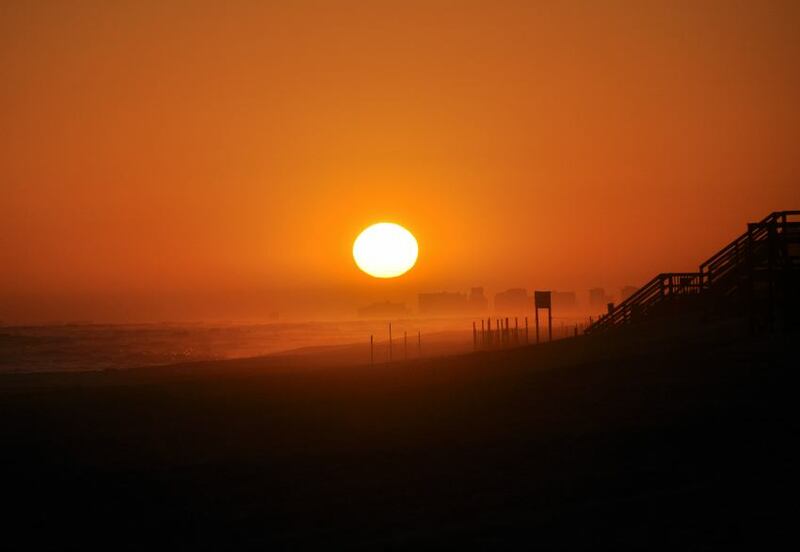 However, there are plenty of restaurants and hotels a short drive away at Grayton Beach if you plan to spend more than the day there. 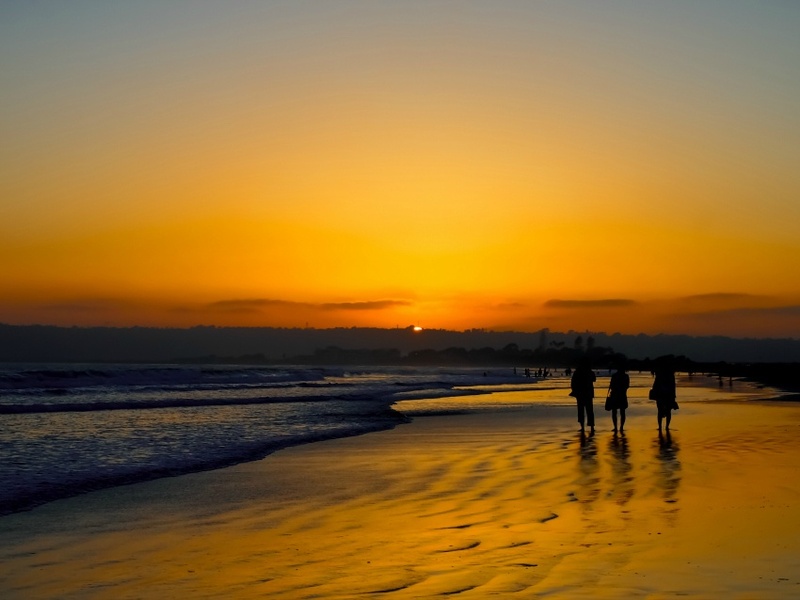 One of the most popular in the state, Coronado Beach combines subtropical vegetation with a warm Californian climate to create a beach that offers great swimming in calm and warm waters. 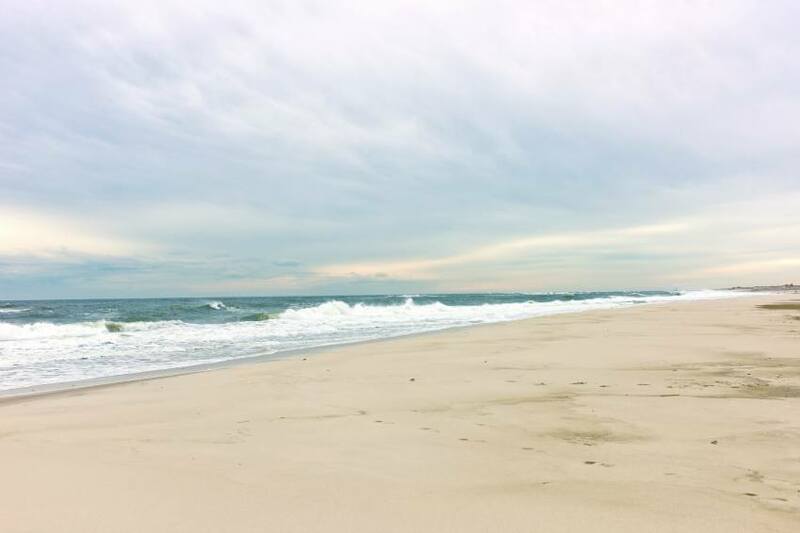 On the south shore of Long Island in New York State, Coopers Beach is protected from the cold currents of the coast - making it the perfect place to join the Hamptons set, or just to escape from the heat, hustle and bustle. A far cry from the busy streets of New York City, it’s made up of hundreds of yards of beautiful white sand, backed by grassy dunes. 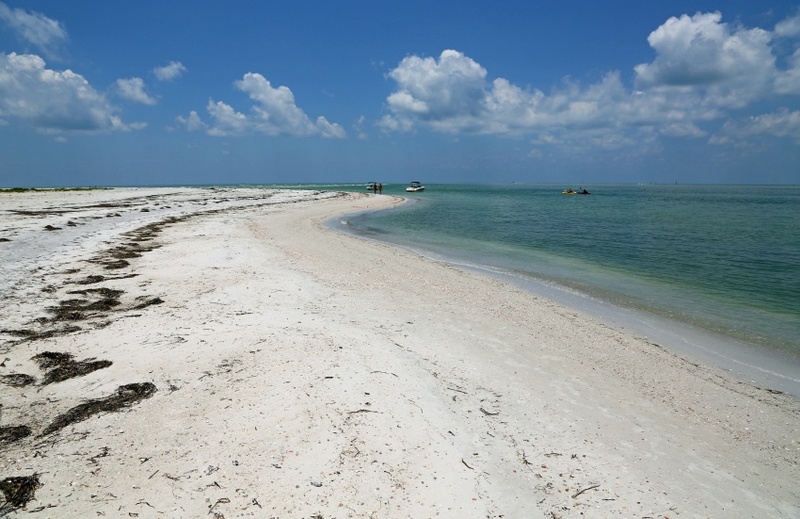 The final in the trio of Florida beaches that made it into the top 10, take a ferry to Caledesi Island for the chance to swim in its gentle warm waters. You can also rent kayaks and canoes to explore the nearby mangroves, which have a great deal of exotic bird-life to discover. 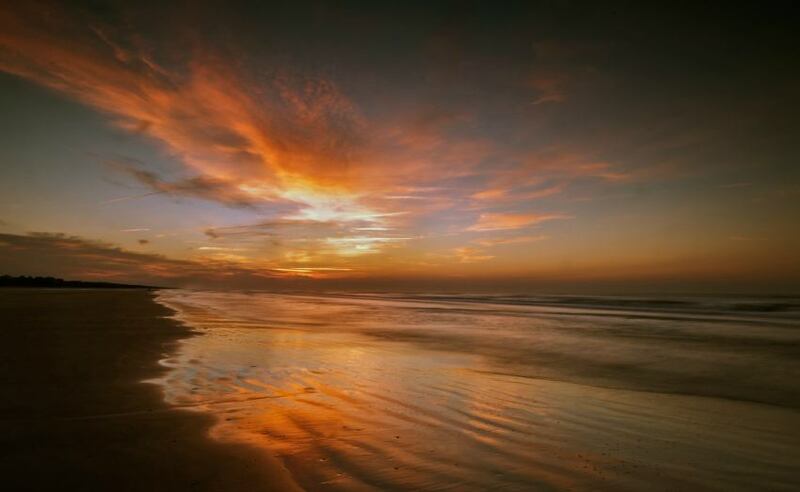 Just to the south of Charleston, Beachwalker Park is on the southern end of Kiawah Island. Great for walking and admiring the thousands of sea birds who live there, the area is also famous for its seafood that forms a big part of local cuisine. So wherever you’re thinking of heading to catch some winter sun, with this much sandy beauty all across the States, providing fun and frolics by the sea for all the family, you can make it a memorable trip.